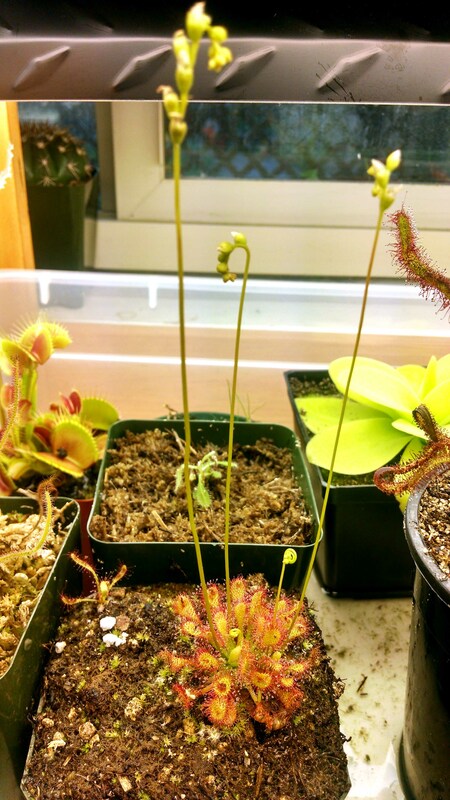 Flowers and D. capillaris "Alabama" |Sundews Etc. I love when my plants flower. It's like they're thanking me for providing nice conditions. 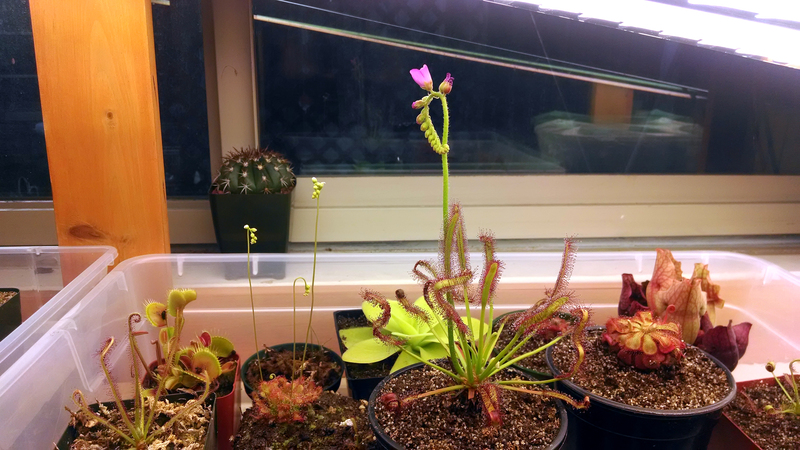 This photo is from about a week ago, and as you can see D. capillaris "Alabama", D. capensis, and D. aliciae are all either actively blooming or sending up a flower stalk. The one that makes me feel the best, though, is my D. capillaris. Five scapes! I'm pretty sure there are at least 2, maybe 3 separate crowns wedged in there. Makes for a hell of a show, and the tentacles have colored up nicely. Also note that hitchhiking D. capensis in corner of the pot, which will need to be scooped out and transplanted sooner rather than later. I'm growing these under 6 four-foot T8 lights on a 16 hour photoperiod in a tray with essentially all of my other plants. The setup is next to a window that gets a few hours of afternoon sun as well. 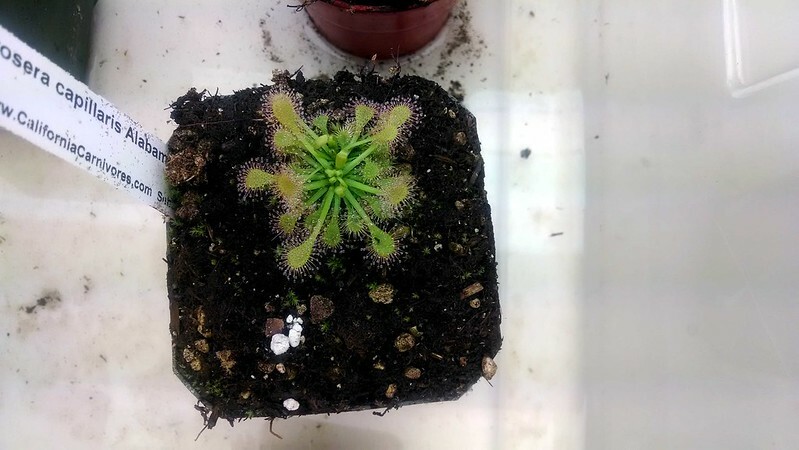 While I'm planning on diversifying my grow spaces soon (and moving my VFT and S. purpurea outdoors) I think I'm going to keep my D. capillaris right here. It looks great.